It might seem counterintuitive to make the argument that Israel should no longer count on U.S. support for its policies as assuredly it has in the past. It might seem counterintuitive to make the argument that Israel should no longer count on U.S. support for its policies as assuredly it has in the past. After all, hasn’t the Senate just passed not one but now two resolutions by unanimous consent declaring its backing of Israel’s deadly attacks on and invasion of Gaza? Clearly there are a number of possible explanations for this; here are three that come to mind. First, Americans are used to having Israel and the issue of the Palestinians framed by two heretofore closely intertwined narratives: that of the Holocaust and that of the founding of the state of Israel. The terrible reality of the Holocaust, and the moral and ethical imperative that the world never let such a catastrophe occur again, has obscured the narrative of the gradual dispossession of the Palestinian people that began around the time of the First World War and ended with the expulsion of some 700,000 Palestinians during the Nakba of 1948. The illegal occupation of the West Bank and Gaza after the 1967 war and the continued colonial projects of the settlements are also framed within a narrative of Holocaust prevention, not of colonization and apartheid. As much as the world should strongly and unambiguously condemn such acts of anti-Semitism, to focus on a “second Holocaust” is to ignore the actual reason why anti-Semitism has today reared its ugly head again. It is not because of some essential, primordial racism against Jews. It is because of the actions of the state of Israel in staging a brutal, prolonged attack on the Palestinian people that is replete with violations of human rights and international law. That Hamas has also committed attacks on civilians does not erase the fact that Israel’s violence violates basic international humanitarian laws regarding proportionality. International support for Israel is ebbing because the Holocaust narrative can no longer offer an omnipotent shield against a critique of the second narrative regarding the founding of the state of Israel. 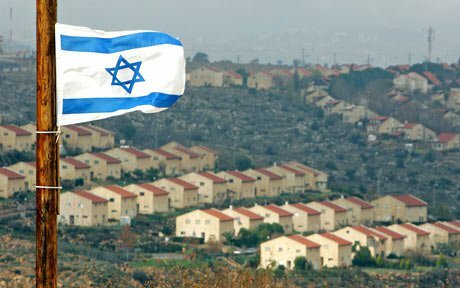 Israel is in fact risking losing the narrative war altogether, as more and more of the global public is asking questions that probe into that history, prompted by the evidence of Israeli’s current efforts to continue and expand Israeli power and land, efforts that are now increasingly regarded not as survival tactics but as violent colonial ones. In sum, there is now a widening band of light in between the heretofore seamless merger of the Holocaust and founding narratives, resulting in a weakening of the former in its capacity to act as an alibi for the latter. Again, this is especially important with regard to the U.S., which has been the world’s most generous supporter of Israel. More and more younger Americans, growing up well past the postwar era, find the Holocaust narrative to be less than absolutely and unquestionably a good reason to support the horrible killings in Gaza. And as they learn more, their support will wane further. Second, the massive attack on Gaza and its obscene civilian death toll is now delivered to a global audience via a variety of media forms that far exceed the mainstream media. Contemporary forms of social media deliver images from Gaza and opinions on the invasion as it takes place. Notwithstanding Netanyahu’s ghoulish assertion that Hamas was opportunistically using “telegenic” corpses to garner sympathy and political points (and one cannot help but ask back “Who created those corpses in the first place?”), we are in a new era wherein “history” is immediately disseminated and debated globally by local testimonials, amateur photojournalists and video reporters, as well as a large number of non-mainstream news agencies. Younger people are open to these modes of narrative, curious to know more, and morally puzzled and deeply concerned, and they in turn become conveyers of opinion and witnessing, as seen in the Tumblr site,TheWorldStandsWithPalestine which documents the demonstrations taking place around the world by means of uploaded photos from the participants themselves. Therefore the Holocaust narrative is being displaced by the overwhelming number of mutually referencing and mutually reconfirming images, stories, testimonials, critiques, from individuals to U.N. agencies like the United Nations Relief and Works Agency that has openly condemned Israel’s bombing of one of its schools. The Senate’s criticism of the U.N.’s findings on Gaza thus is immediately made questionable by stories like these and many others that create a cognitive dissonance in our minds between the claim of “equal violations” and the actual, not fabricated, figures that give quantitative weight to the visual images of disproportionate Palestinian death and destruction. Our governments have failed — while they have talked peace and passed UN resolutions, they and our companies have continued to aid, trade and invest in the violence. The only way to stop this hellish cycle of Israel confiscating Palestinian lands, daily collective punishment of innocent Palestinian families, Hamas firing rockets, and Israel bombing Gaza is to make the economic cost of this conflict too high to bear. The fact that more and more younger Americans are increasingly skeptical of supporting Israel’s military efforts is encouraging in the long run. But we should not lose sight of the tremendous humanitarian crisis we are witnessing today. Change might be coming, but for now action is needed. David Palumbo-Liu is the Louise Hewlett Nixon Professor of comparative literature at Stanford University and the director of the Undergraduate Program in Comparative Studies in Race and Ethnicity. Follow him on Twitter at @palumboliu.